4' x 6' Hanging Banner. 4' x 6' hanging banner with grommets. 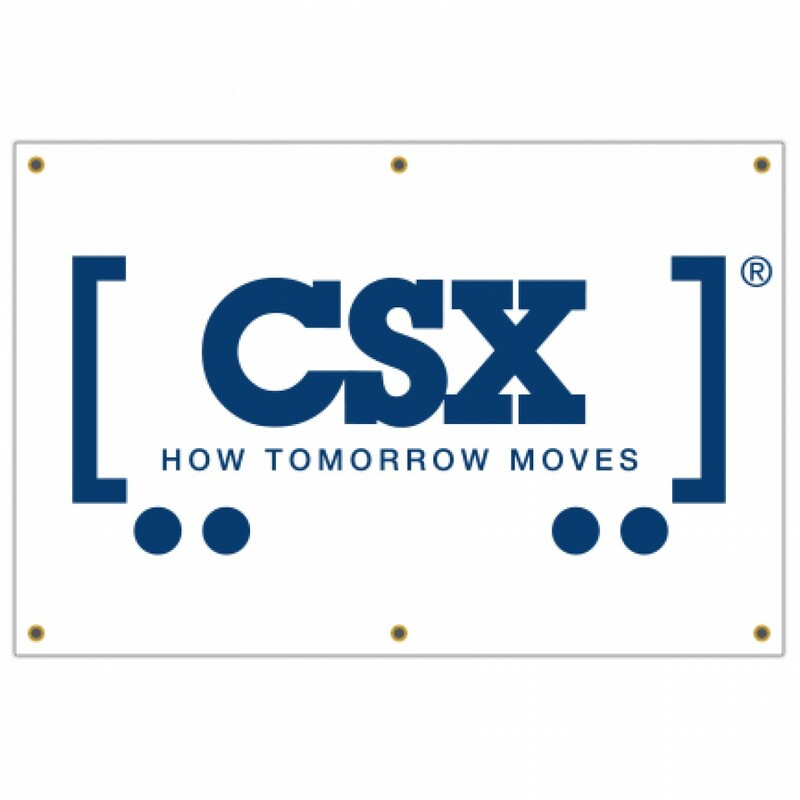 White with blue CSX railcar logo.